Today.Is.The.Day. 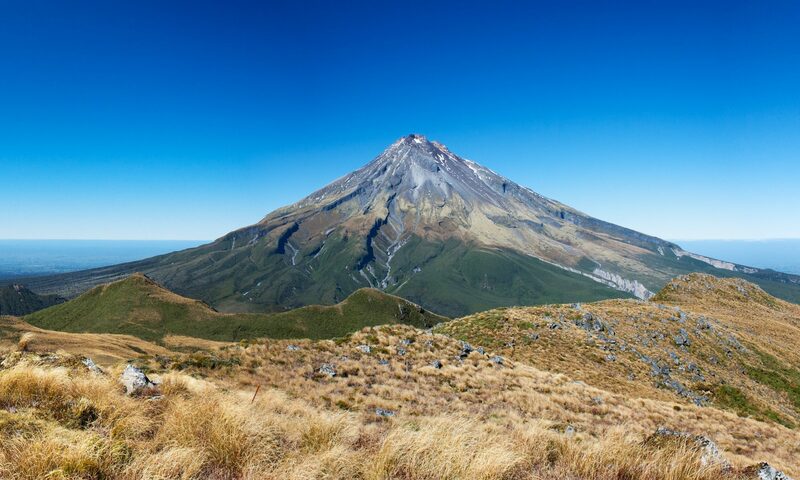 The day that the Tephra Team goes to New Zealand. The day that kicks off two weeks of sampling volcanic rocks from the most productive silicic volcanic field on earth in the last million years: the Taupo Volcanic Zone. Nicole, Adam, and I had a pretty uneventful ride up to Portland from Corvallis. If you’re from Oregon you know that this is almost impossible, but for some reason, the travel gods blessed us with some good ju-ju for the day. The flight from PDX to SFO was equally as exciting, but as we arose from the fog that envelopes the city on a daily basis, the Cascades could be seen in all their glory towering over the surrounding area. Maybe I’m just a sucker for volcanoes, but there is something almost magical about the way the low angle light of fall hits the newly snow covered Mt. Hood slopes. Aside from the Matterhorn, it might be one of the more perfectly shaped mountain peaks out there. Feel free to disagree and provide evidence for your own mountain peak! With our computers all up and running, Adam, Nicole, and I seem to fit in well in the San Fransisco airport. I am obviously writing this blog post and have the easiest job of the three of us, Nicole is finishing her Igneous Petrology (GEO512) term paper on silicic crust formation, and Adam is switching between reading papers and reading way too many emails. Eventually we will meet up with the other members of the Tephra Team who are driving over from UC-Davis: Tyler, Kari, and Elizabeth. I believe we are all on the same flight heading to Auckland…after all, how many possible flights can there be from San Fransisco to Auckland in one day? Team MTU will be arriving a few hours after us in Auckland, as they have to deal with traveling from the Upper Peninsula of Michigan aka a logistical nightmare. Getting out of Houghton, MI is no easy feat in winter, so I would not be surprised if they opted to fly out of a different, more reliable, airport to increase their chances of arriving in New Zealand on time. Upon landing in Auckland and rounding up the whole team, we will head 3.5 hours SE to Ohope Beach that is nestled right in the middle of the Bay of Plenty. There most likely will be no downtime and work will begin right away getting acquainted with the TVZ and examining the coastal tephras found nearby. Hopefully everyone can get some sleep on the plane so we’re all refreshed and ready to go! If not, well, that’s what coffee is for. We are academics, after all, and as such pretty much have coffee flowing through our veins rather than blood. Between the caffeine and adrenaline generated from actually realizing we are in New Zealand, I have complete faith that the team will be firing on all cylinders. The following day will be more of the same, but I’m quite excited to bust out the hammer and hand lens and get to work! The weather looks good for the trip thus far, spirits are high, and we are right where we need to be. Maybe writing this blog post helped expedite things, but I think it is finally sinking in that in less than a day I’ll be looking at the Pacific Ocean from the other side. A wave of excitement has just washed over me. Stay tuned for more science, adventure, and volcano related things! We come to you next time from the lovely land of New Zealand! Time for a beer and some dinner.